Kigali (AFP) - Cricketer Don De Dieu Mugisha bowls a ball down a bumpy, dusty wicket at a match in Rwanda: a sport introduced by those who returned after fleeing genocide 20 years ago. While still viewed with bewilderment by many in this small, hilly east African nation, the game is growing rapidly and fans are raising funds to build the country's first dedicated international-standard pitch. For players, efforts to build a new pitch symbolise far more than a strange game with a bat and a ball. "Because of our history, people here in Rwanda try to do something that can bring people together," 18-year old Mugisha, captain of Rwanda's under-19 team, told AFP. Fans believe sport offers a way to bring a still traumatised community together. Today's field is a small and uneven pitch at a college at Kicukiro, site of a notorious massacre during Rwanda's 1994 genocide, in which almost a million people were slaughtered in three months of killing. 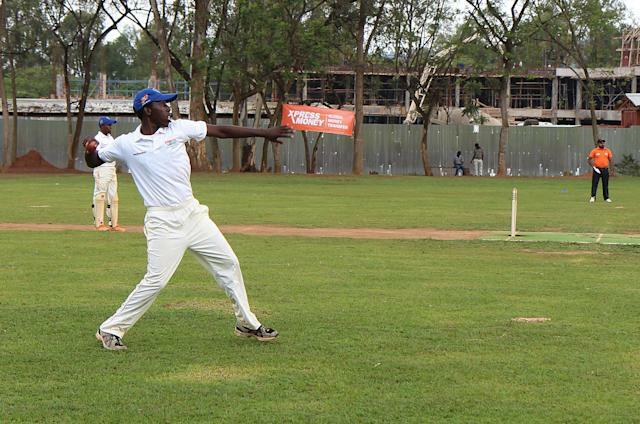 "The history of cricket in Rwanda... has to do with the history of the country and what we went through being forced out as refugees," said Charles Haba, 37, a founder of the Rwanda Cricket Association (RCA). Haba learnt the game at schools in Uganda and Kenya. Like others, he continued to play on his return to Rwanda, starting with a team of just seven players. "When you have a passion, you want to pursue that passion," he said. 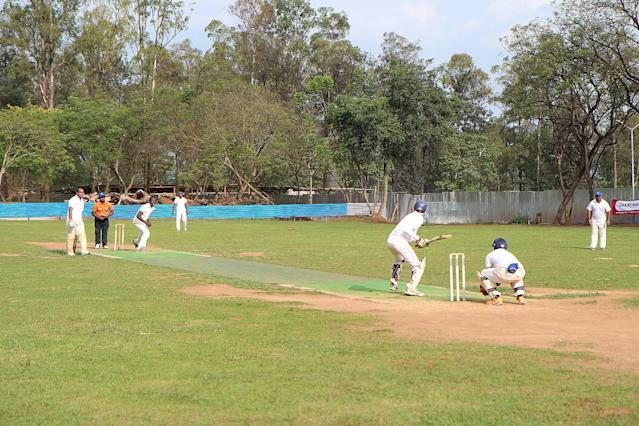 Now a project run by cricket fans from Rwanda and Britain, backed by London's Marylebone Cricket Club (MCC), is working to build a 4.5 hectare (11-acre) field on the outskirts of the capital Kigali, with construction due to begin later this year. Dark memories of the killings that took place at the current pitch remain. Some 2,000 people sought shelter in a school here, but after United Nations troops withdrew, murderous gangs using grenades and then machetes killed almost all. "Some of our players lost loved ones here... we have given hope to a place that has been a place of killings," Haba added. Haba and friends set up the Rwanda Cricket Association in 1999, and was recognised by the International Cricket Council in 2003. From the tiniest beginning, there are now over 5,000 members. But the lack of facilities is hampering growth. "Our biggest single challenge has been infrastructure, so we are very excited we are putting up a new international cricket stadium," added Haba. 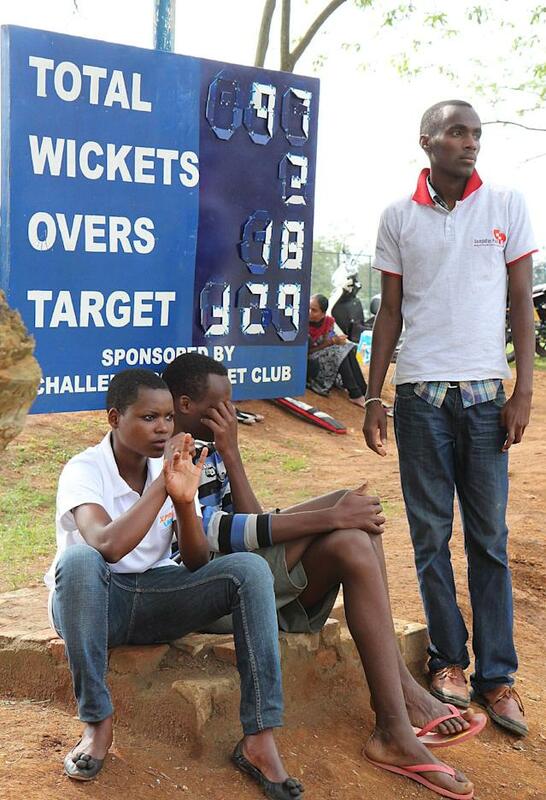 Patrons of the project include West Indian batting legend Brian Lara, who has helped coach players in Rwanda. "Sport can help build the incredible progress the country has made in the last 20 years," Lara said, in a statement supporting the project, adding the stadium "will create a lasting legacy for the game." Fellow patron, British Prime Minister David Cameron, said that "sport is a great way to bring a country together," noting in a statement that "cricket is one of the fastest growing sports" in Rwanda. BBC cricket commentator Jonathan Agnew, who is also supporting the project, said it was "always heartening to hear of cricket spreading its roots to unfamiliar territory". The project has so far raised some two-thirds of the almost $1 million cost (600,000 pounds, 750,000 euros), said project director Ed Pearson, enough for the pitch and practice nets, with remaining fundraising for a pavilion. "We want this to be more than just cricket, we understand that cricket can be a tool for development and a force for good," said Pearson. Later this month, in bid to complete the fundraising, teams are climbing Kilimanjaro in neighbouring Tanzania, Africa's highest mountain, in an attempt to play the world's highest game of cricket, in the ice-covered crater at 5,785 metres (18,980 feet). Emmanuel Bugingo, from Rwanda's ministry of sport, said the government backed the pitch project. But he downplayed any suggestion that development of the traditionally English sport was in any way a reaction by Rwanda to tense relations with France. President Paul Kagame has accused France, an ally of the Hutu nationalist government prior to the 1994 killings, of having helped the murder of ethnic Tutsis, claims rejected by Paris. "Sport unites all people," Bugingo said. "It has no relationship with diplomatic or political relations." 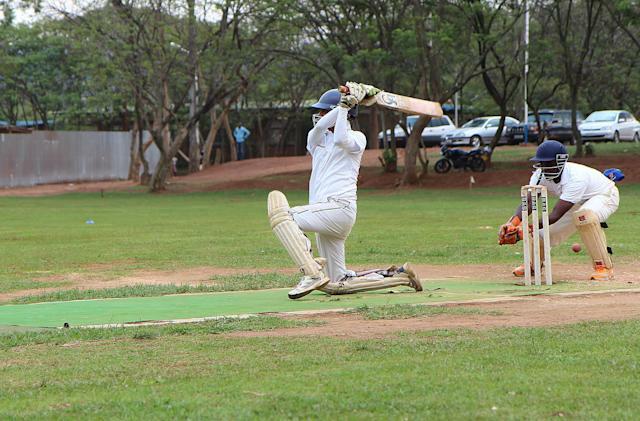 For Haba, cricket is not about politics -- but is far more than just a game. "Sport speaks a language that no politician can speak," Haba said. "When you are on the same team, it doesn't matter who you are, or where you are from."